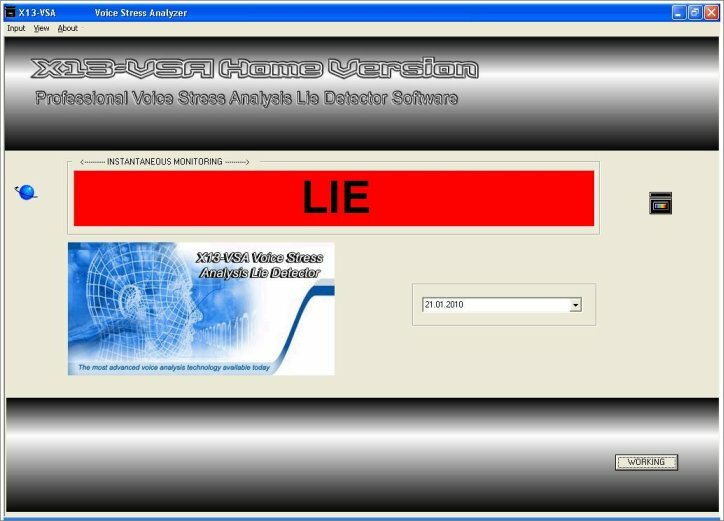 Note: New features are always added to improve the effectiveness of the software. Therefore, the screenshot may be little different from what you will see on your screen. 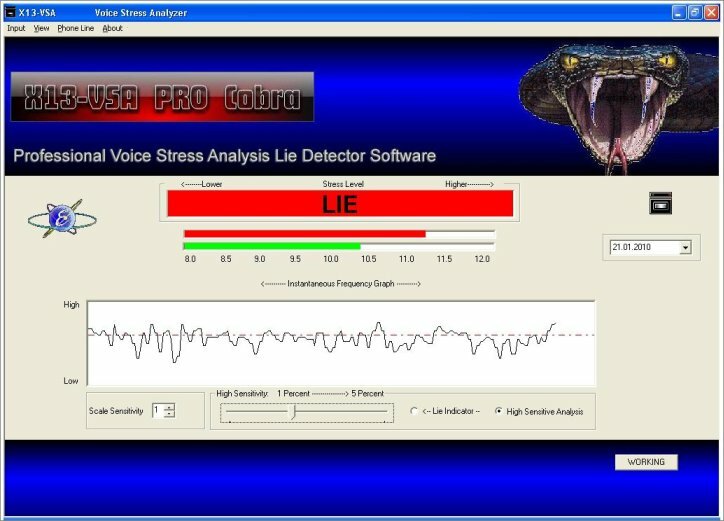 X13-VSA PRO Cobra with Ultra High Sensitiv truth verification and emotion identification Modul. 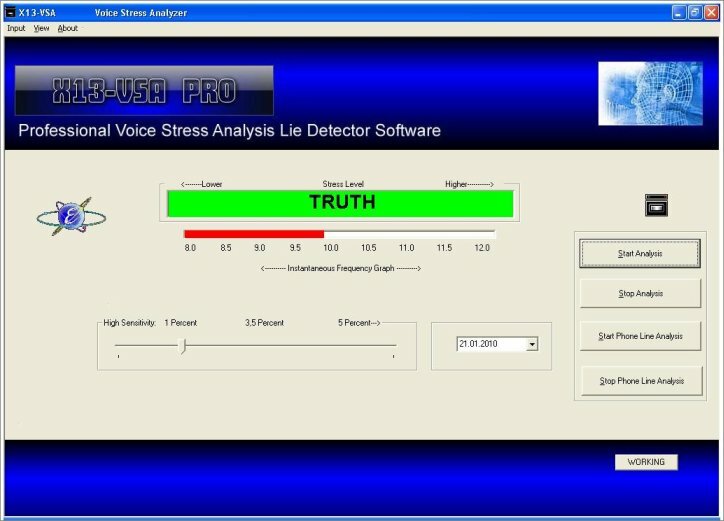 We have implemented the new, powerful, complex & highly sophisticated algorithm IVSA (Intelligent Voice Stress Analysis) contains all the sophisticated mathematical algorithms and is only implemented within the X13-VSA PRO Cobra application.